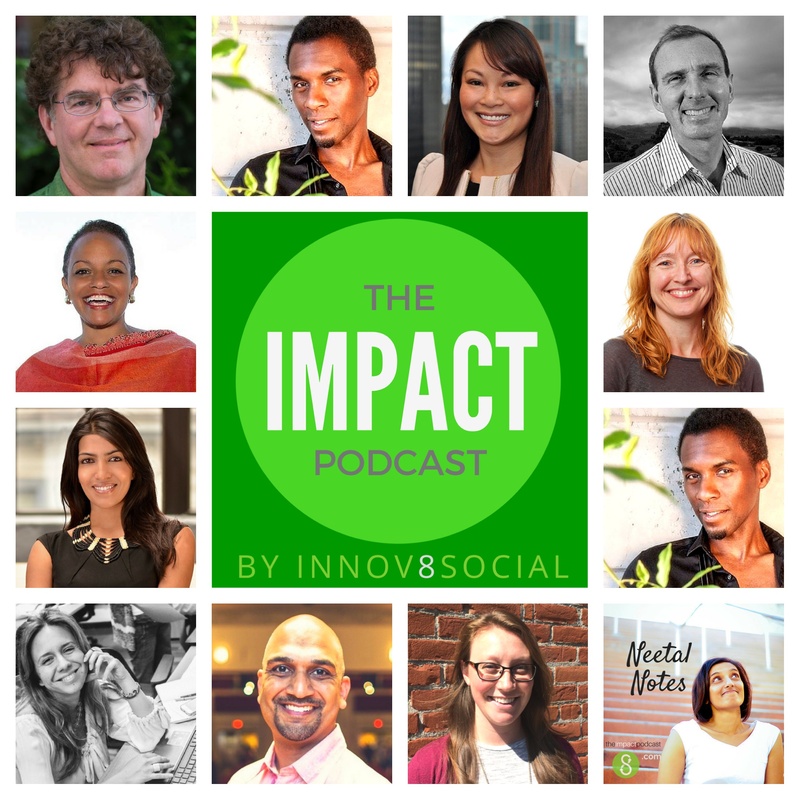 In this episode of the Impact Podcast, Innov8social founder shares her experience about co-hosting a workshop with founder of Impactpop. The interesting thing about the workshop is that, it actually happened in a Tipi. Neetal told that the participants had a exploratory conversations about social impact, and how each of their backgrounds, cultures influence their idea of social impact. The focus of the workshop was the intersection of art and social impact and it fit well with the theme of the event. This episode we will get to listen from the participants, of the workshop and what they gained from the workshop. Jessica is one of the participants, and she found about the event from one of the podcast episodes. It was exciting for her to meet like minded people, about art and social justice. She found that there is a lot of energy in this topics and the notion of redirecting, the funding from source to the need was really helpful. Marisela is the founder of Impact Pop and is also one of the participants of this event. She found that event brought together people with like minds, and people who care about innovation and social enterprise. The workshop provides access to products that are designed to solve problems, and open up space for people to connect and talk about things that matter. It is also exciting, that this type of event happened in an unconventional way such sitting in a Tipi. One of the other participants at the the event, was Sousuzakhi from Japan. He is trying to meet with a lot of B-corps for his research, and he is from a venture capital background. He is interested in helping, community business in Japan. It was his first Tipi experience and he felt the interactions with fellow participants about social enterprise is an enriching experience. That was all from the Tipi workshop (ImpactPop) from SFO. Please stay tuned for more impact podcasts during this fall.